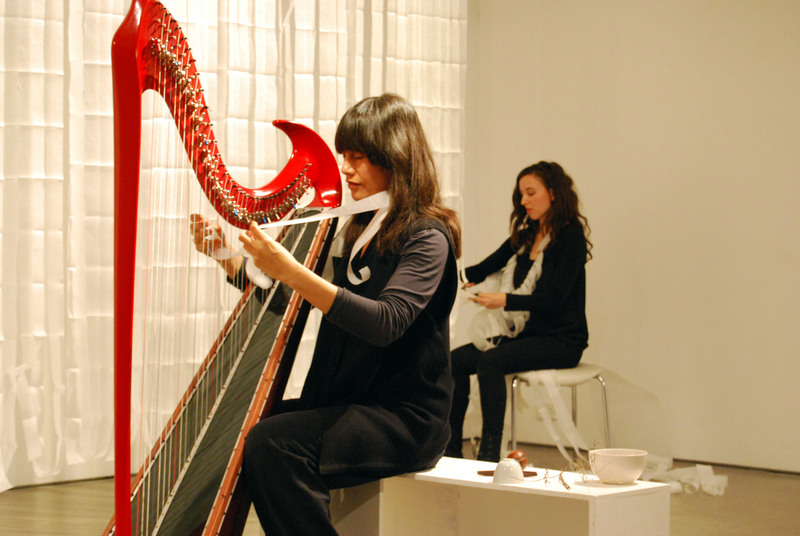 Baking paper, scissors, fan, psaltery, harp, tarhu, cup. 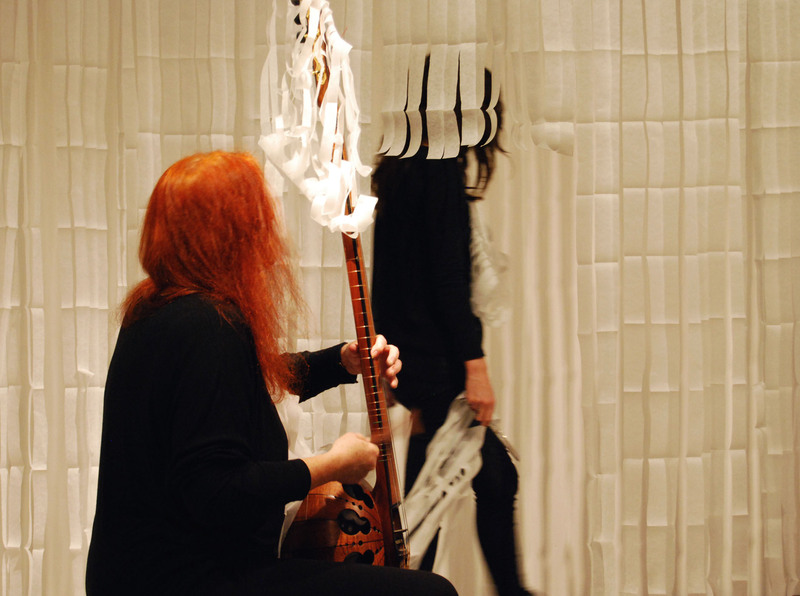 A collaborative performance of equal parts music and art installation between Ros Bandt, Natalia Mann & Lauren Simmonds. 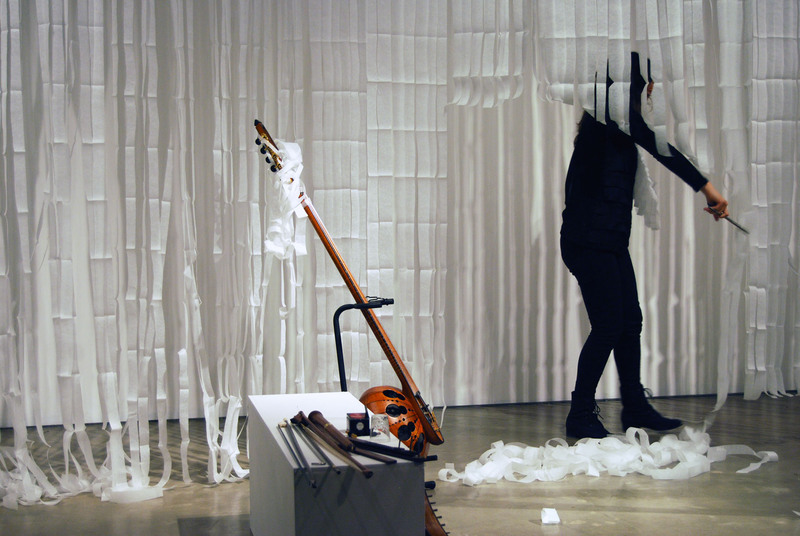 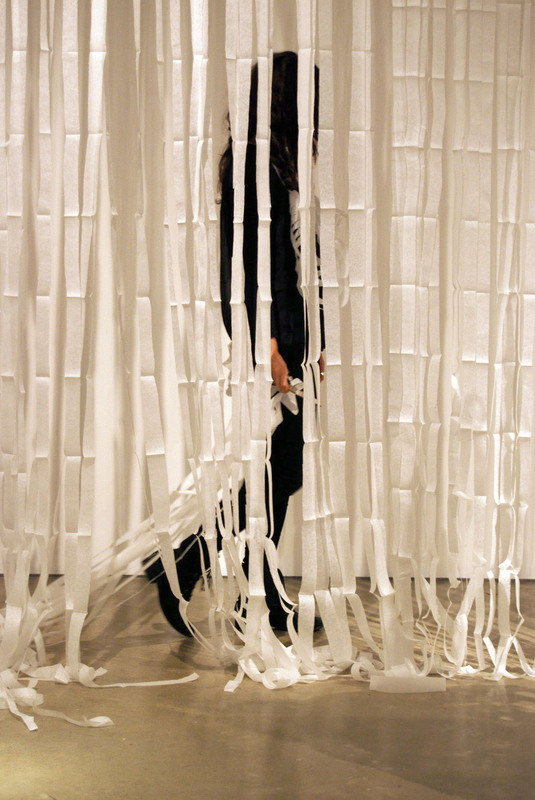 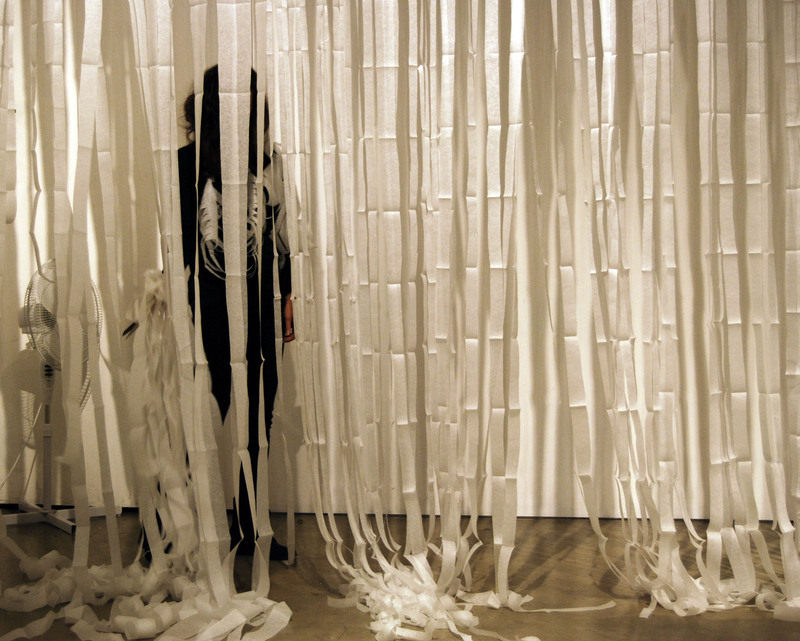 Soundpaper is an exploratory music performance set to a visual score featuring harp, tarhu, psaltery, paper installation and movement.